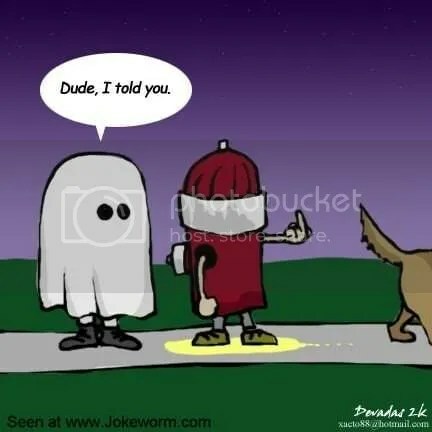 Ok, I know this is a little late for Halloween, but I just came across it and couldn’t resist. I can totally relate to the hydrant. Hmmm the guys luck reminds me of mine. I could be starving to death and it start raining soup and I’d be standing there with a fork and a sieve. Sometimes you’re the hydrant, sometimes your the dog.